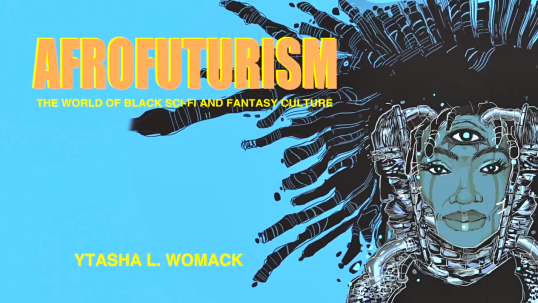 Afrofuturism is relatively new term for me. I’ve long been a fan of Science-Fiction/Fantasy but hadn’t considered the deeper implications of African/Black participation; the writing of ourselves into new realities, worlds, and roles that were, by-in-large, out of the range of possibility in the all too real world. Perhaps this is because, like many non-white people living in the United States, I generally assumed that the world of Sci-Fi was simply a (albeit way cooler) reflection of the reality we lived day to day. It was something to be enjoyed, appreciating the anomalous appearance of characters that looked like me (read Uhura or Benjamin Sisko).